Twitter Analytics Tools are the one of the best way for measuring your online presence on twitter. Twitter Analytics Tools will help you to track and compare your own Tweets, as well as examine the growth of followers, status of your re-tweets and more. 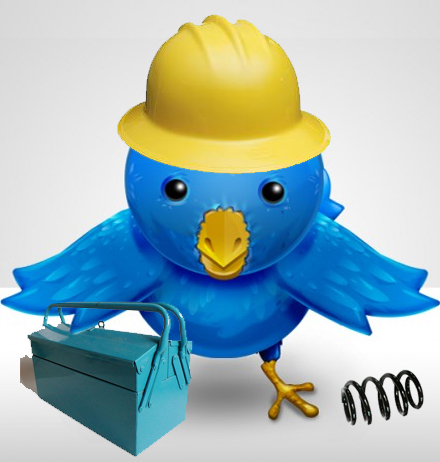 Today we want to present you some of the best 21 tools to analyze your twitter account. Most of these are completely free and we recommend you check these tools if you want to analyze and visualize your activity on Twitter. One of the best tools to track your twitter usage. With this tool you can know more about followers, friends, tweets, absolute and relative growth. They are also providing a widget and buttons that you can add to your blog. It totally free and doesn’t need any registration. Another best twitter analytics tool which shows your daily tweets, monthly statistics report with interactive data visualization, information about your interface usage, number of replies and mentions that you get. You have to must heck this tool to know more about your tweeting style and tendancies. 3. My Tweet Map – This tool will show you the latest tweets from your friends on a map. Best way to know more about twitter trends. With this Free twitter analytics tool you can monitor popular and recent trends on Twitter which are displayed via informative and interactive charts. Twitalyzer can tell you how many people you reach in Twitter and exactly when you need to be active to reach them. 6. Tweeterboard – An analytics service that provides information about popular Twitter users and popular links. 7. Tweetburner – Tweetburner gives you click stats for the links you posted in Twitter. 8. TwitBuzz – TwitBuzz is a service that follows the links, messages,and users on Twitter and displays them nicely on its site Digg-style. 9. TweetBeep – Just like Google Alerts, this service will send you an alert whenever your set keyword is mentioned on Twitter or when somebody link to your site. 10.TwitGraph – This service provides graphs of your Twitter usage – tweets by day, top 5 words, top 5 links, and top replies. 11. Twitterlinkr – Shows you the popular links that people are posting in Twitter. 12. Twittermeter – You can use Twittermeter to see how frequently a word has been used on Twitter. You can also compare two or more words. 13. Twemes – Twemes follows Twitter public messages with particular tags to build a meme around a topic. 14. TweetStats – You can grab your Twitter stats including your tweet timeline, tweet per month, and tweet per hour. 15. TweetVolume – With this, you can check how many time a particular word appear on Twitter. You can compare upto five words and see the results in bar graphs. 16. TwitterLocal – This tool allows you to generate an RSS Feed of a filtered list of tweets from a certain area. 17. Tweetmeme – Displays popular topics on Twitter and those people talking about that topic. 18. 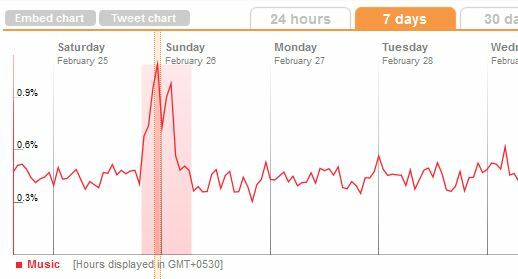 Twist – This provides trends of what people are saying on Twitter just like Google Trends does for internet search words. 19. Twittermap – This tool displays the most recent public updates in the last 12 hours. 20. Twitt(url)y – This service tracks the most linked to urls on Twitter and display them Digg-style. 21. Wiiizzz – This service lists the audio tracks that have been listed to and shared on Twitter. – TwitGraph – only shows me what I’ve done as of TODAY… not useful. – Quotably has been discontinued. – 24oclocks is in JAPANESE!? Good work man! This is great list of twitter analytic tools. Nice work, i would add Tweetcounter to the list. These are all really helpful tools. 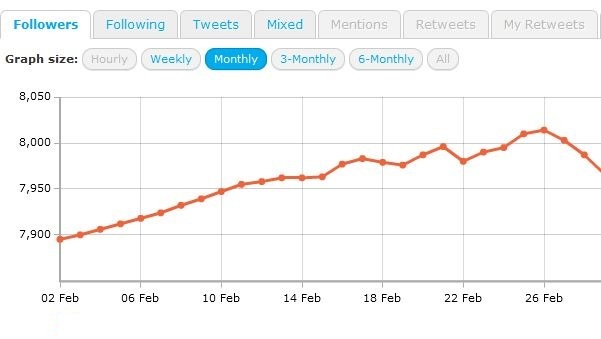 The one thing that seems to be missing is a tool to track a Twitter account’s CTR over time. Being somewhat handy, I threw together http://140ctr.com, which is a tool you can use to determine how effective your link sharing is. thanks for starting this list. May be you would like to add the analytics tool http://www.twentyfeet.com. Pingback: Elenco di Tools per le statistiche di Twitter | GuidaTwitter.com - La TUA guida a Twitter! Hi, thank you for this useful list of Twitter Analytics tools! You know, in Italy Twitter is not so popular like other s.n. (eg: Facebook 😉 ), but now, with the new Italian interface, the users’ number is growing. By the way, Tweetbeep is a very great tool!